With the release of our recent paper in Genome Biology (DOI: 10.1186/s13059-016-0953-9), we've had the opportunity to share about our service with guest blog posts at BioMed Central and Elasticsearch. Our project lead, Chunlei, even had the opportunity to talk about our service on Global Genes, RARECast, and a TSRI press release about our service was shared on various science news sites like EurekAlert, Science Daily, MedicalXpress, and TSRI's News and Views. Add more data resources. Although our service already provides simple programmatic access to almost 250 gene and protein annotation fields, there are plenty of other data resources we'd love to add! Do you like using MyGene.info, but are frustrated that a common data resource is not available? We'd like to change that with the addition of 20+ data resources which are on our shortlist. Add more data types (not specifically for MyGene.info, but we're interested in being more useful by branching out.) If you use our service, you probably already know about our sister service, MyVariant.info, for genetic variant annotation data. We'd like to create a Software Development Kit (SDK) called Biothings.io, and apply what we've learned in creating and maintaining MyGene.info and MyVariant.info towards the creation of a similar resource for diseases and chemical compounds. Help users keep even more up-to-date. We'd like to create a new application that will allow our users to get customizable and integrated notifications when something new is discovered or annotated--not just for genes, but other BioThings as well! That's what we'd love to accomplish in the future. 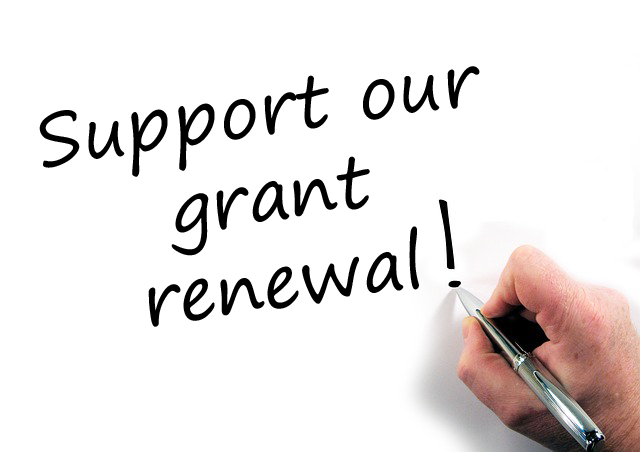 Unfortunately, funding is uncertain and our grant is up for renewal. If you'd like to continue using MyGene.info, or would like to see similar sister projects for diseases, or chemicals in the future, please consider writing us a letter of support for our renewal application. The deadline is looming, so any help you can offer us would be very much appreciated. Please see our post on the Su Lab blog for more details. Regardless of our uncertain funding status, v3 of the MyGene.info API is currently under active development, and is expected to bring many new enhancements based on your requests. We expect to release v3 for beta testing very soon, so stay tuned! If you plan to help, we need those letters by July 1st!